I really hadn’t planned on it. I’d covered the Chicago Reader’s “Best of” issues for the past three years. I thought I was through with it, at least for the time being. I didn’t encourage readers to vote in this year’s Chicago Reader’s “Best of Chicago 2011” polls. But, dammit! “Best Overall Neighborhood” merits a blog post. 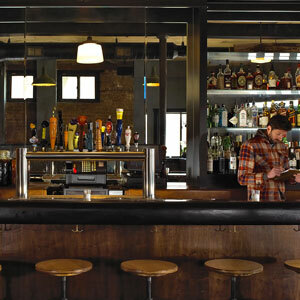 (runner-up) Best Neighborhood for Nightlife – Logan Square. That according to Steve Dolinsky, otherwise known as the Hungry Hound. 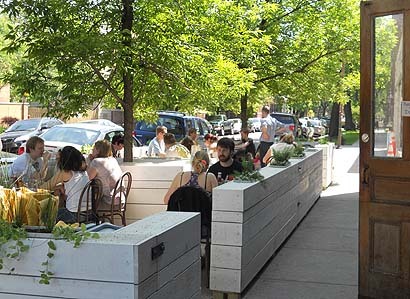 On his blog he picks the Top 5 restaurants for a first date in Chicago, and two of them are right here in Logan Square: Lula Café and Longman & Eagle, both of which have received national attention this year. Dolinsky’s criteria: “just focus on the food, and the atmosphere will usually take care of itself.” Not being a foodie, ambience is key for me. But these places have atmosphere in spades,…and buzz, which contributes to the lively ambience. 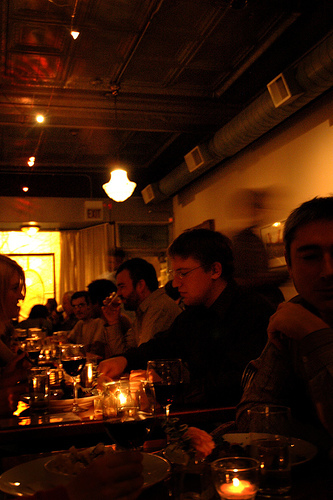 Travel + Leisure searched from east coast to west coast, but only “this hip Windy City café” passed muster in the Midwest. 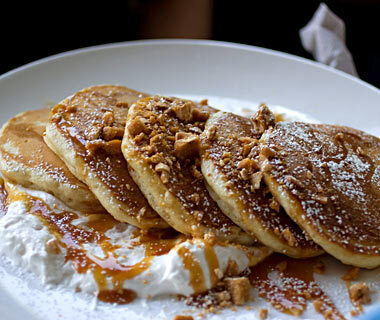 I don’t mean to rush summer along, but, mmmm, some pumpkin pancakes sound really good right now. Where’s the best budget movie theater in the city? But we knew that already, right? Nonetheless, it’s good to have neighborhood institutions receive the recognition. Logan Theater on Milwaukee Ave.
A day after my last post the Chicago Reader came out with its “Best of Chicago 2010” issue. The accidental theme of the issue is “street smarts.” Though, am I lacking them because I found it a bit cumbersome to find the Logan Square gems in this, the third annual, issue? No fears; they are there. In 2008, the “Best of” in Logan Square was a fairly traditional list of categories while 2009’s “Best of” in Logan Square was a bit quirkier. And this year’s is a mixture of both. 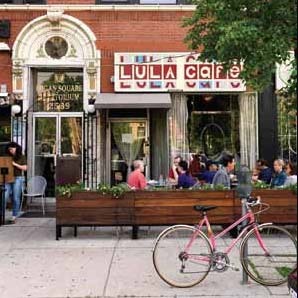 Lula Café resurfaces, chosen in the readers’ poll in the more traditional category of Best Brunch of 2010. Next we conquer the world! Not just best in Chicago, mind you, but one of the best places to drink in these United States. Kudos! Like the quite specific “Best breakfast alternative to the wait at Cozy Corner” (on Milwaukee Avenue) accorded to the lesser known Cozy Corner at 4356 W. Diversey Avenue. Same homestyle breakfast, same reasonable prices, but a bigger space and, best of all, no wait.